As a car care enthusiast it pains me to see less and less people caring for their car’s paint these days. This is the main reason why I take a little time writing about these things. 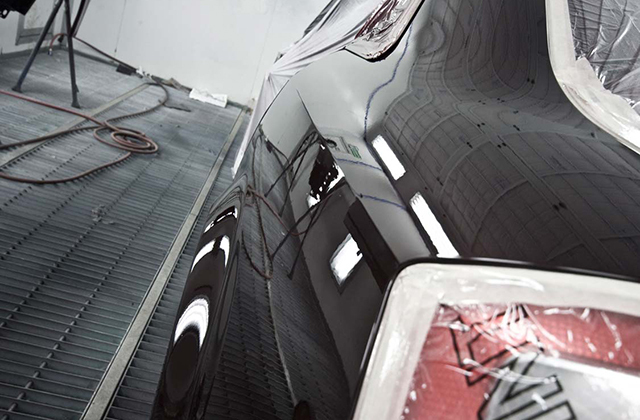 Every man (and even women) should value their car’s paint for a variety of reasons. On top of many people’s list is the re-sale value their car will command when it’s time to sell. New car paint protection process treated all surfaces accordingly depending on their materials, and carpets and floor mats will be treated with durable fabric protectants. People get bored with waxing their cars. I found out that one way to get people to actually go out and care for their car’s exterior is to have them try a few new things. Read on to find out some surprising tips you can try out next time you wax your car. A long forgotten technique from the earliest car enthusiasts. The advent of easy wipe products has kept this waxing tip deep in the forgotten realms of the car care industry. While true that most new products are not heavily affected by this, Carnauba and other naturally hard wax blends can benefit greatly from this. Save yourself a little less arm soreness by applying the car was in a clockwise motion and removing it the opposite way. This is easier if you are right handed. If you are left handed then it will be easier to apply counter-clockwise and remove clockwise. It might be awkward at first but you’ll be amazed how much easier it will be to remove hard wax with your hand’s dominant direction (right hand feels more natural counter-clockwise). Synthetic Waxes and modern carnauba blends may seem like they came from the future. Since the 90s car waxes have been attributed to deflecting lasers, resisting storms, and even repelling dust with their static charges. With all the marketing stuff companies have long bombarded us with; it’s difficult to believe that these products actually are just waxes. They can’t repel normal weather abuse for long amounts of time. This is especially true in the more humid conditions and extremely cold weather. Car wax coatings should not be expected to last for months. It’s best if you can wax your car once a month if you use it normally. Rainy days alternating with hot sunlit days will kill your cars protection really fast. If you use your car in harsher conditions like that, and use it as for commuting to work most days then expect to wax your car as often as twice a month. People who have a love affair with their cars will even go as much as waxing once a week. It is simply too much expect a car wax to give optimal protection to your car when used twice a year. No matter what the car care product companies tell you. The number one confusion when it comes to car care is this: People simply do not know the difference between car polish and car wax. It does not help that companies often mislabel them or combine them into one product. What’s worse is that Company A’s polish maybe more of a wax while Company B’s wax more of a polish. Most people will simply get confused and won’t bother to understand. To illustrate in a bit of hyperbole; think of a polish as sand paper and wax as a film of oil on top of your car’s paint layer. That should make it clear that its polish that gives your car that coveted showroom shine. Waxing acts as a sealant and does not smooth down the imperfections of the paint. Polishing on the other hand evens out the surface and “grinds” down the clear top coat layer of the paint to give it a smooth surface. This is what makes your car’s reflections attractive and impeccable. That’s not to say waxing should be eliminated. But if you could devout more time to polishing than waxing it just might make your car glow better. An old adage is that: Polishing shines and waxing protects. It’s almost standard for brand new car dealers nowadays to offer a package for waxing your car to that showroom shine. They usually come with things such as underbody rust proofing and window treatments. But anyone who has a couple of hours on their hand will do a better job. Imagine a car dealership releasing a hundred units a month. It may surprise you to know how badly your car gets treated. Most true car enthusiast will either do the detailing themselves or have a specialist shop do it. These shops will often charge the same and use industrial grade products and not some bided out cheap wax from your dealer. In an effort to speed up the process dealers will use rotary tools and harsher polishes. If you do it at home by hand you’ll be sure that you won’t eat up the clear coat on your car for years to come. It’s best to do it yourself and have time to bond with your new car. Hopefully reading this several tips will make it more exciting for you to start allotting a little time to protect your car’s finish. You’ll get more cash when you sell your speedster and get more chicks too, guaranteed. For more tips and specific car wax advice don’t forget to head to Car Wax Reviews. We offer impartial reviews for the best car wax products in the market.